← BVA–JETGUNS OR NOSE CANDY? It is somewhat amusing to read how MITRE’s work includes tips on increasing VA’s engagement with veterans. 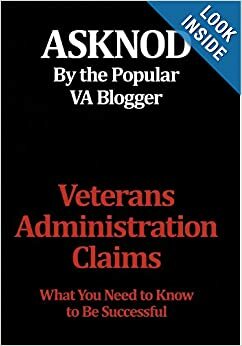 They should read a few years of BVA denials for a better sense of veterans’ actual engagement experiences with VA. No fine sounding unbiased words in those! The RAND Corporation wrote three book/assessments which can be accessed and read from this webpage (LINK) as well as the 24-page summary (click image). The three-decade decline in the number of veterans will continue. The total number of veterans is expected to decrease by 19 percent between 2014 and 2024, assuming no major policy changes or large-scale conflicts. Priority group regulations are just used to deny care, as in this case–Citation Nr: 1536700 (LINK). Thomas H. O’Shay Acting Veterans Law Judge, Board of Veterans’ Appeals. The geographical income thresholds are outdated. This veteran is not a rich man in NYC. And this is a case of “penny wise and pound foolish” because if he is still covered by his spouse’s private insurance, the VA could bill them and get paid. A big plus for taxpayers. I’m not even sure if the co-pays are wise or fair even if the blasted Priority Groups are eliminated. Gallery | This entry was posted in All about Veterans, Call Bob, Congressional Influence, Food for thought, Future Veterans, General Messages, Guest authors, Uncategorized, Veterans Choice card and tagged asknod.org, priority groups, VA Medical Care. Bookmark the permalink. I agree. If Hillary were such a great leader (good enough to lead our entire country), then she should have been good enough to lead her husband to help Veterans years ago, when Vets were not a priority. Trump has stated that he will “fix VA even if he has to do it himself”, and outlined a workable plan to do so. This inculdes forcing VA into accountability, which has never been accomplished before, by setting up a White House “Hotline”, where Vets can contact the White HOuse the next time VA puts them on the hamster wheel. The current administration’s VAOIG has proven over and over that they are not up to the taks of forcing VA to be accountable. Indeed, when VA messes up, they need to be held accountable by the president. Its just not that way now. Politics are certainly not appreciated here. Under which presidency was the VA responsible??? 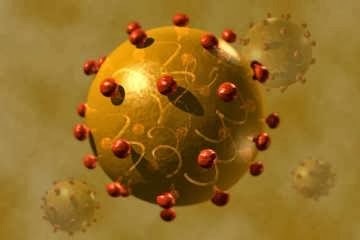 The VA billed my private insurance $1200 for doing a couple of freeze jobs on some little spots on my forehead. If I had know they would do this I would never have let them. Next time I see them I will just ask for a drug since I pay no copays on them. Since we do have a shrinking Vet population I imagine all vets should get VA care just to keep the system running. I don’t understand how a system can be so FUBAR. When it was just for SC vets it was awful so just cutting back on eligibility is not the answer. There is an answer but the VA does not want to hear it. John, I’m not sure why you think your private insurance should NOT help defray the costs of your care. Is your objection philosophical or are you harmed? I think that the recovered funds even stay with your local facility. That’s a good thing if it means they can fill more jobs, hire and train staff, and see more vets quicker. Maybe have more flu shot events, etc…I don’t see anything wrong with this unless co-pays become a problem. As long as the payments aren’t used for parties in Orlando and Vegas! Re: Flu shot events— my local pharmacy has a flu-shot policy that takes anything insurance -wise. If you do not have coverage, no sweat. You just get one anyway. No questions asked. Dang near year ’round now. I used to drive 45 miles to get mine “free” at American Lake VAMC every fall -but no mileage for driving. So why do we have priority groups again? CMOH gets Pri 1? Purple Hearts get Pri 3? and on and on. You’ve have to have served in the Inactive Coast Guard Reserve during a time of peace to merit Pri 8. Or, just make a few hundred more than what is considered geographically “correct” to merit nooooo coverage. fairness >simplify = efficiency > cost savings. If you served, you deserve. Also, don’t forget about the Walmart program with VA for flu shots. Well, my rather jaded view says let’s go to “Everyone/Everywhere”Care. Eco friendly logic. Less energy used to seek medical at the closest outlet with appropriate care. Certainly, VA has many fine programs like their prostheses depts. which are indispensible, but if you have to wait a month to drive 90 miles (one way) to see a doctor and hopefully get reimbursed at $.41 1/2 cents per mile when the federal deduct is $.52 cents, it isn’t logical NOT to write a note to the doctor telling him it’s on VA. A set -aside parallel medical system which is tardy and makes medical errors more frequently cannot be defended even if within the magic 40 miles or so. 40 miles in an urban environment is an hour spent driving to the doctor’s office. I live rurally and I can be in a top-notch hospital or doctor’s office in 15 minutes. Why force a Vet into such a narrow confine medically? There are certain facilities which are quite valuable in time of war traumas. There are other VAMC/University cohabitations which are also excellent, but rationing it out (doling it out) to Vets is painful to watch.